Watch "The EXCITE Journey" to hear firsthand from pilot participants. A pilot project, EXCITE Transformation for Libraries was held at the Middletown Library Service Center from October 2016 - Spring 2017 with 7 teams of librarians (see box to right for participating libraries). Individual participants earned two digital badges: Collaborative Innovator and Innovation Designer Certification. In October 2016, the teams attended a 3-day bootcamp where they learned the language, tools, and process for the project. This was followed by a gap where the teams started research within their communities to uncover insights, needs, and drivers with an interim coaching session by phone with the facilitator. In November 2016, the teams returned for a 2-day session where they immersed themselves in sharing insights from research, fueling and transforming ideas to address community needs and turn these ideas into real initiatives for programs or services. Prototypes and storytelling completed the design cycle. Teams returned to their communities with their ideas and sought to gain stakeholder support, setup partnerships, and develop the final implementation of their projects. January 31, 2017 the teams came back together to fine-tune the pitch of their project which they presented to a panel of judges on February 1, 2017. 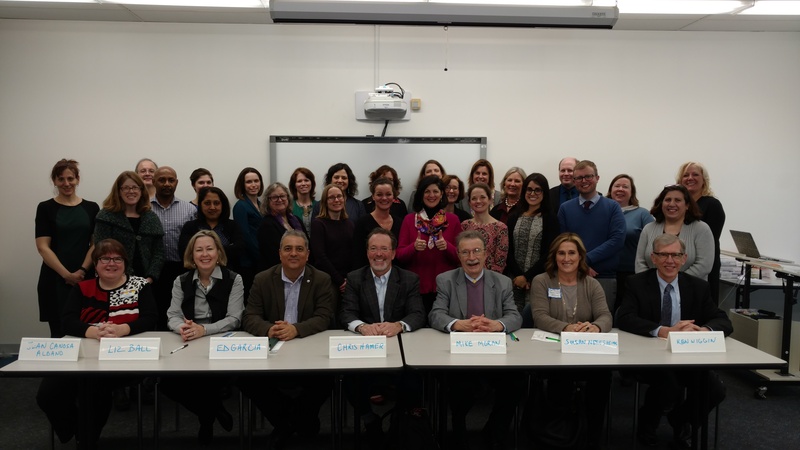 The judges, representing libraries and businesses from within and outside the State of Connecticut, heard the libraries' pitches and awarded them varying amount of seed money (supplied by the Connecticut State Library and LSTA) to begin their projects. Projects will be completed by September. We hope to bring this successful pilot to a wider statewide and out-of-state audience in the future. This pilot of EXCITE Transformation for Libraries and the seed grants awarded to pilot libraries were funded by the State of Connecticut and the Institute of Museum and Library Services under the provisions of the Library Services and Technology Act, administered by the Connecticut State Library.